Chow time and we wanted to try something new. We decided to go down to Holland V and walked into any joint we fancied. We went a bit early, and most were still preparing. Mom needed the bathroom and the lovely people in La Nonna helped us borrow the washroom next door. More on that later. 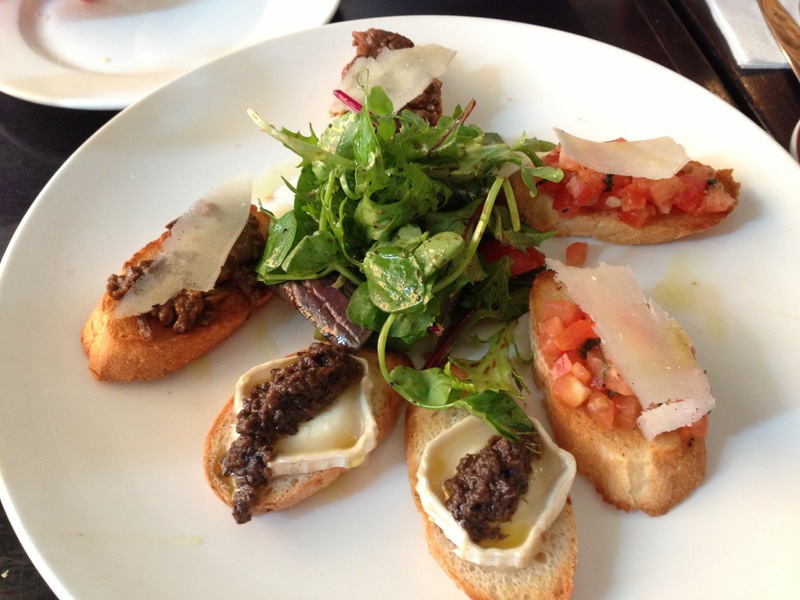 We started the lunch with some Bruschetta. Three different toppings were offered – the traditional chopped tomato, olive oil and parmesan cheese, a goat cheese with truffle sauce, and a chopped sautéed mushroom with parmesan. I liked the goat cheese the best because it was strong and brought out the truffle topping brilliantly. Jo didn’t like it because it was “goaty” 羊騷味. The other two toppings cannot go wrong with the anyone, but it could be better if the baguette were toasted to a warmer temperature. 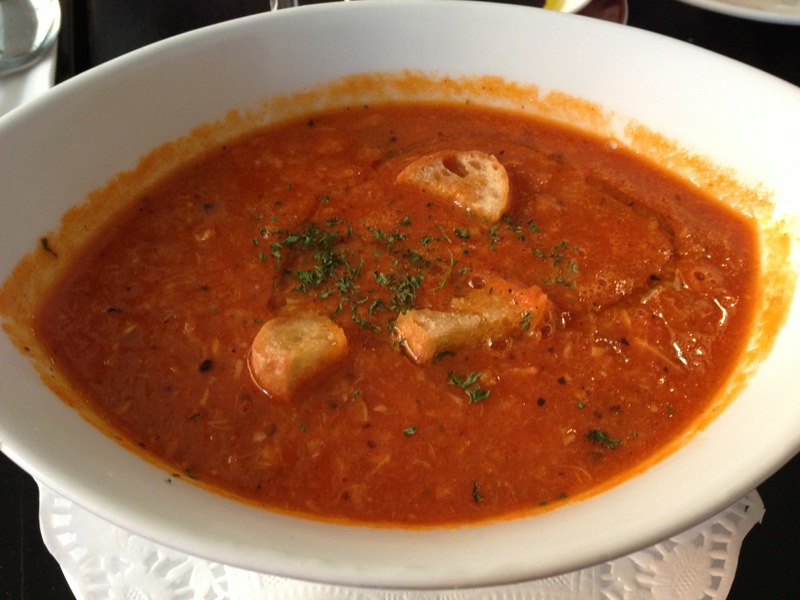 The Cioppino was a spicy soup with liberal amount of fish, crab meat, shrimps and chopped squid. I could not figure out why there were pieces of croutons floating in the soup that actually spoiled the texture and presentation. But the soup was flavourful (and full of ajinomoto). This was a rare find among the pizzeria. 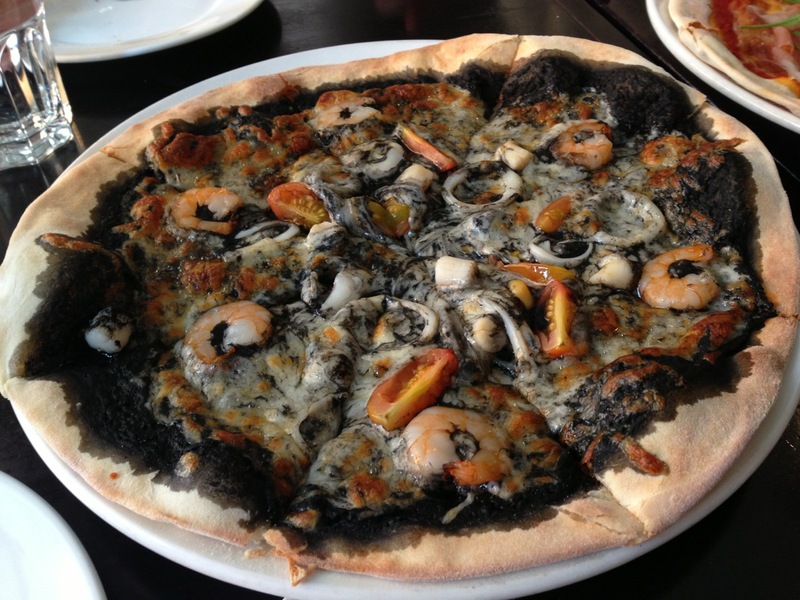 Pizza Nera used a squid ink sauce instead of the usual tomato paste and was topped with seafood. I wished it could be more salted. The crust was not as thin as Modesto’s, as Jo rightly pointed out. An Italian was sitting across my table, and commented that his pasta was too “wet”. We were used to too much of the good thing, and therefore our pasta were usually drenched in sauce. 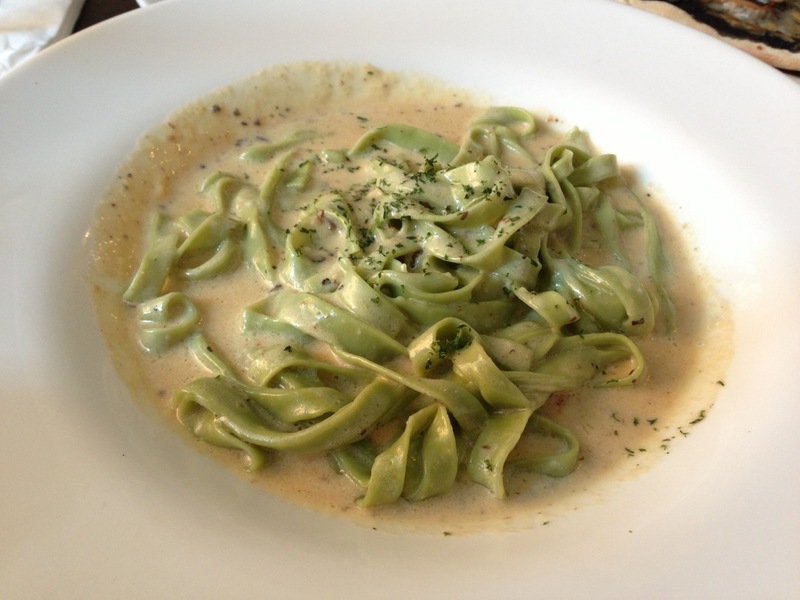 Same for this fettucine, it was liberally sauced with truffles and cream. 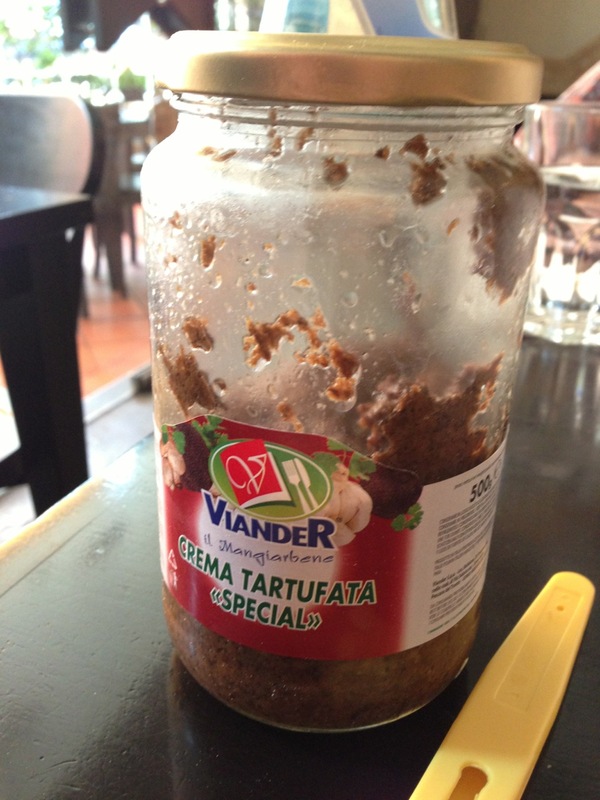 It was good, but too much of the good thing can be quite “gelat” (queasy). Luckily we still had the bread to scoop up the sauce. And here’s the secret ingredient. They did not use the usual truffle oil. Instead they used this truffle sauce. Service: Fantastic. During the whole time, the service staff kept my princess entertained. Before the lunch, they went thru the trouble to borrow the toilet from the neighbours as their toilet was on the second floor and my old mother cannot walked up easily. Food: Good, but can be too much ajinomoto. Price: $35++ per person. Ambiance: OK.
That’s how we chose to dine at La Nonna – because of a toilet.